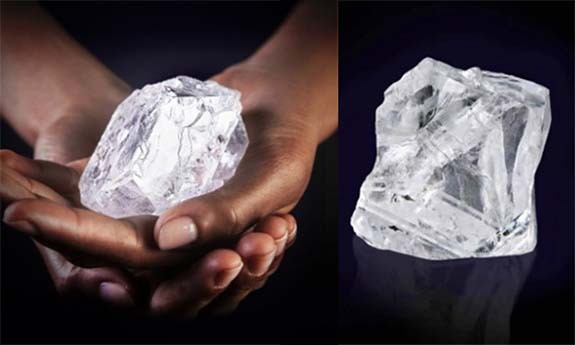 British billionaire and diamantaire Laurence Graff paid $53 million for the 1,109-carat Lesedi La Rona, the largest gem-quality rough diamond discovered in more than a century. 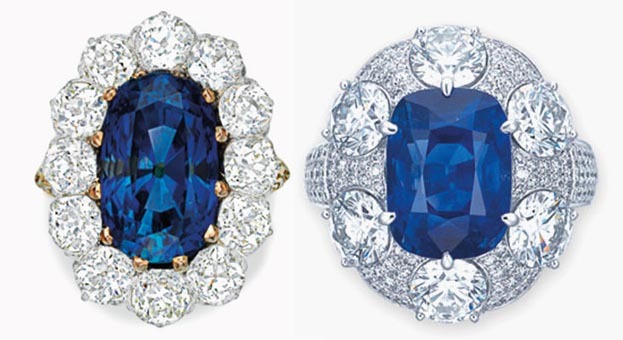 Graff’s purchase marks the poignant reunion of two of the world’s largest and most high-profile diamonds. You see, Graff had already paid $17.5 million for the 373.72-carat “chunk” that fractured from her sibling during the mining process. Lucara Diamond Corp. and Graff closed the deal with a handshake after more than a year of negotiations. The 79-year-old founder of Graff Diamonds had purchased Lesedi La Rona’s smaller sibling at Lucara’s Exceptional Stone Tender in May. 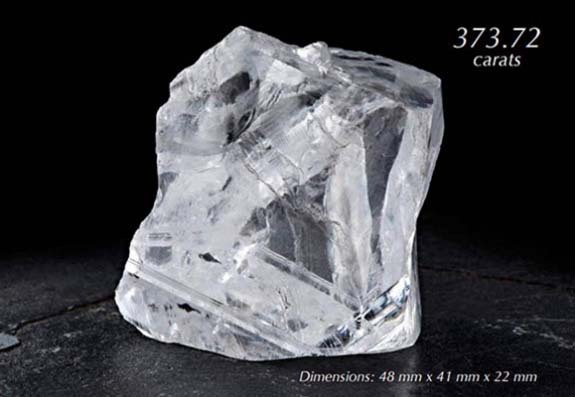 That price was $46,827 per carat, just slightly lower than the $47,777 per-carat price paid for Lesedi La Rona. Mike Nekta is a third generation diamond expert and jewelry designer. Since 1999 Mike Nekta has created numerous beautifully detailed diamond engagement rings, wedding bands out of the New York City Diamond District. Mike Nekta is very skilled in creating handcrafted, diamond engagement rings and bridal jewelry with the unique touch of Mike Nekta design. In 2004 Mike Nekta Created the Nekta Watch Collection boasting some of the globes most sought after fashion forward diamond watches. Professional service and great selection in Manhattan call or visit Mike Nekta for a free 20 minute diamond consultation. 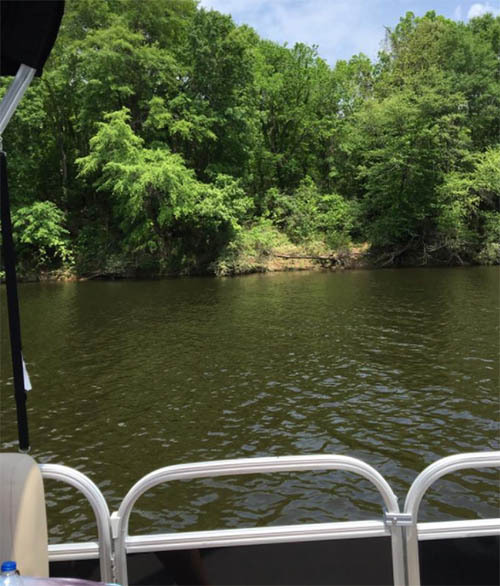 Regardless of what you’re looking for, Mike Nekta can help. Mike Nekta’s collection epitomizes elegance and flair, providing utmost integrity in every step from design to distribution. All the diamonds in our jewelry are sources in and ethically and responsibly. With the scene set during the Second World War, Sheeran recounts in his grandpa William Sheeran’s voice how he fell in love with Nancy Mulligan at London’s Guy’s hospital. He was a struggling dentist and she was a nurse. Sheeran, 26, noted that his grandparents were so poor that they had to borrow clothes for their wedding and that the gold for his grandmother’s wedding ring came from a collection of gold teeth his grandfather had collected during dental surgeries. “[They] had this sort of Romeo and Juliet romance, which is like the most romantic thing. 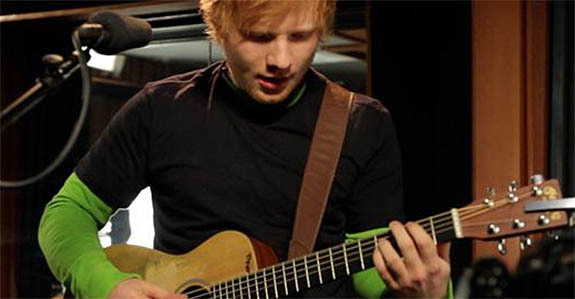 I thought I’d write a song about it and make it a jig,” said Sheeran. The couple was married for more than 60 years and had a profound impact on their grandson’s life. William passed away in 2013, but Nancy remains a big fan of her internationally famous grandson. “The evolutionary history and amazing density of the planet all suggest it is comprised of carbon — i.e. 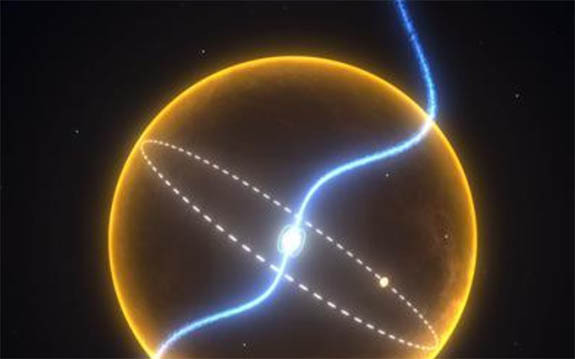 a massive diamond orbiting a neutron star every two hours in an orbit so tight it would fit inside our own Sun,” said Bailes. 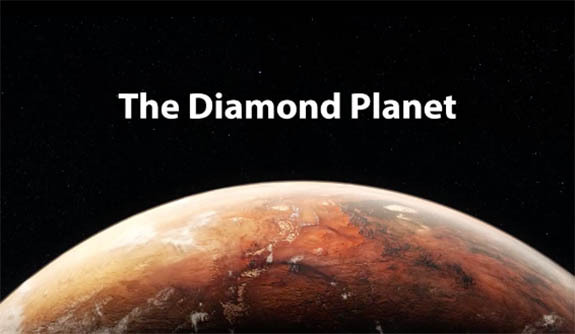 Although Bailes’ diamond planet was the first to make headlines, Yale astrophysicists in 2012 theorized that super-Earth 55 Cancri e was also a diamond planet. Located 40 light years away, the carbon-based super-planet is about two times the size of Earth, eight times more dense and has a surface temperature of 3,900 degrees Fahrenheit. 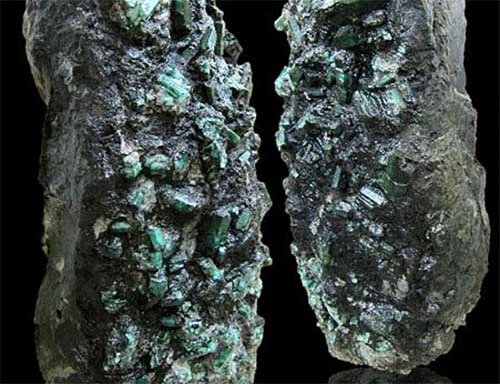 Standing nearly four feet tall and weighing more than a half ton, the world’s largest emerald-embedded stone attracted impressive crowds last week at the Abu Dhabi International Jewellery & Watch Show. 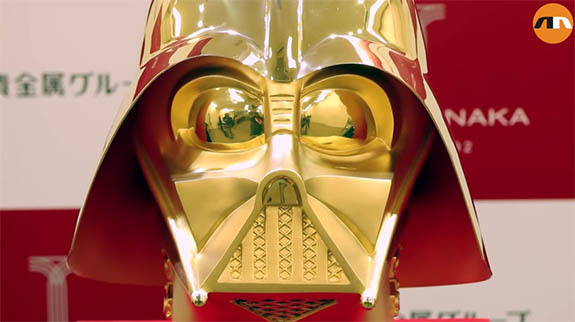 “It was discovered 10 years ago in Brazil, and it’s being displayed in the region for the first time,” he said. “You got an entire mine full of emerald crystals embedded in just one piece and it’s beautiful. 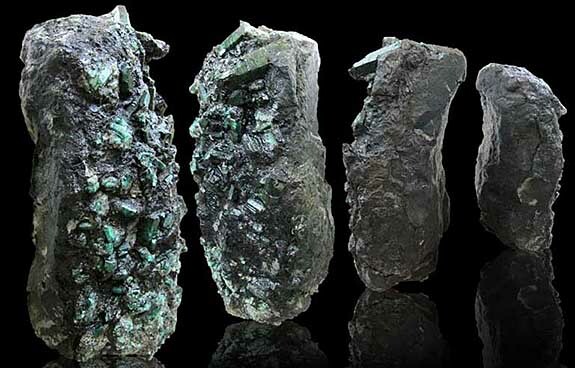 It stands upright, is presentable and unique,” noted John Martin, who represents the emerald attraction. In this soaring synth-pop ballad, songwriters Alexander Geringas and Michael Busbee employ a gemstone’s genesis to illustrate Clarkson’s true potential. Specifically, they reference how carbon has the ability, over time, to transform into a precious diamond. Clarkson argues that even though she’s not “picture perfect” and has an ominous “dark side,” she is still a gem at her core. “Dark Side” was released as the third single from Clarkson’s Grammy-award winning album, Stronger. The song topped the Billboard Hot Dance Club Songs chart and peaked at #42 on the Billboard Hot 100. Overall, it charted in 13 countries. 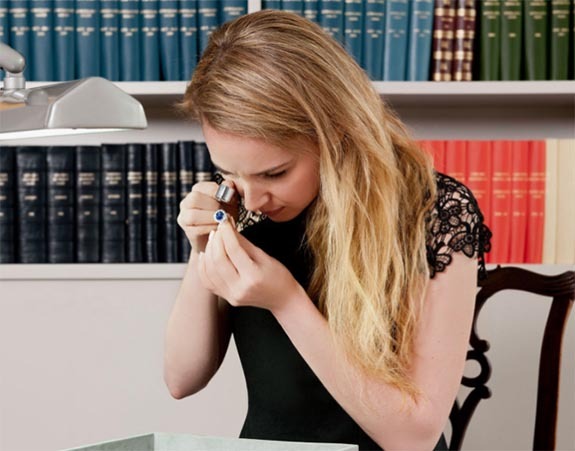 A year after the release of “Dark Side,” Clarkson made jewelry-industry news when she was stymied in her bid to claim the 200-year-old turquoise ring once owned by famed British novelist Jane Austen. Clarkson had won the ring in 2012 at a Sotheby’s auction in London. 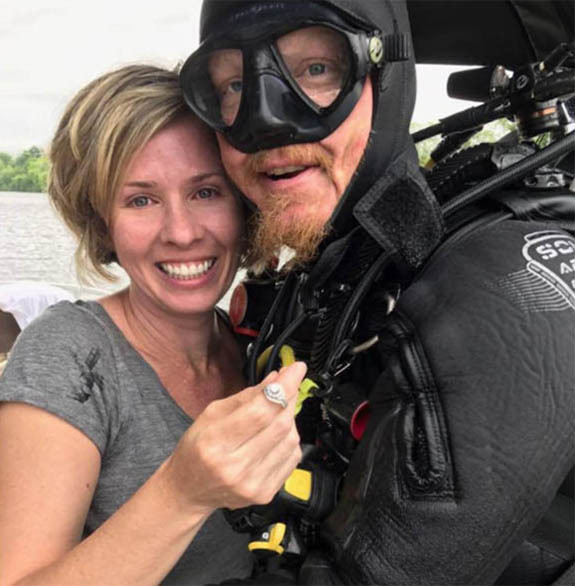 A professional scuba diver pulled off a “needle in a haystack” recovery when he used a metal detector to rescue a newlywed’s engagement ring from the depths of Alabama’s Coosa River. 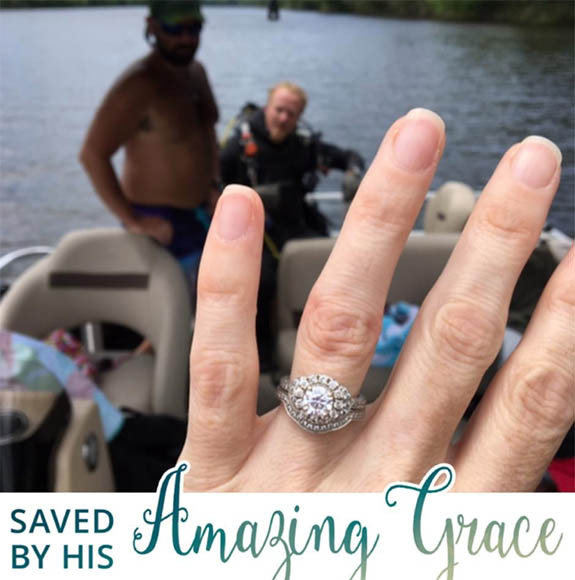 Brooke Leavins had accidentally pitched the diamond ring into river days earlier while shooing a bug on her family’s newly christened pontoon boat. 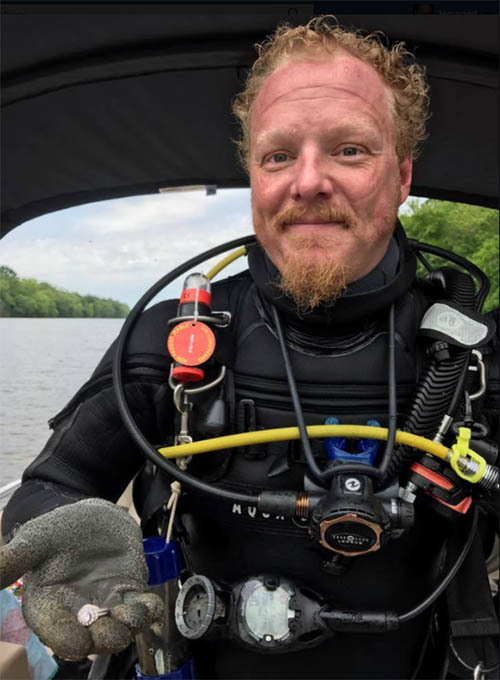 Phillips surfaced within 20 minutes. Acting a bit nonchalant, at first, the scuba instructor didn’t let on that he had found the ring. 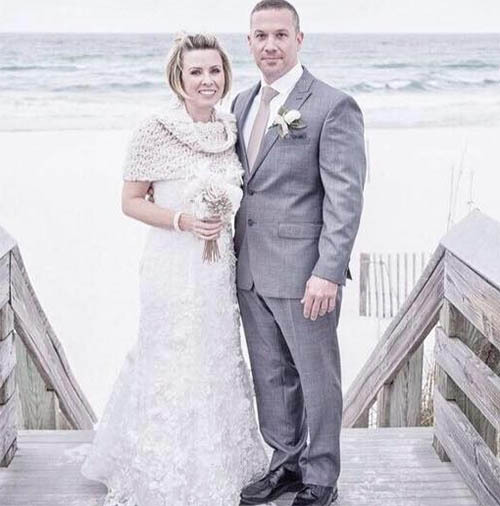 Brooke, who exchanged marriage vows with Steve on New Year’s Eve, said she’s learned a life lesson about wearing precious jewelry on the water.